In the current economic climate, it can be hard for graduates to get into work, but thankfully, Death is hiring. Looking for enthusiastic young go-getters looking to work in a fast-paced 17th century to spread the Bubonic plague across the globe. Pay on commission. 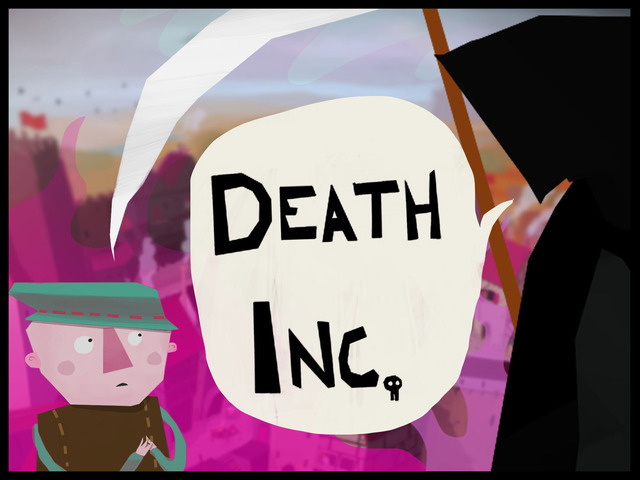 Death Inc. is a game currently under design by Ambient Studios, an indie company with a small, presumably rather sinister team. Described as "Every Bullfrog title that you liked, mixed with Katamari and Pikmin" by lead artist John Eckersly. The game is a mix of RTS, God Game and Business Sim. You play Grim T. Livingstone, a freelance Reaper who spreads the bubonic plague through 1660's England. To do this, you lead a small horde of infected humans and have them spread their plague to every healthy human in every town, city and village. The game boasts an innovative "paint mechanic" wherein you simply "paint" your desired path on the map and your units will follow it - a simple and fluid alternative to the finger-breaking click-fests that most RTSes operate by. In early levels the humans will be easy pickings, but will eventually fight back with pitchforks, arrows, muskets, seige weaponry etc. as such you'll have to be clever to lead your afflicted army to their gruesome victory. Then after the working day is done you'll head back to the office where you'll need to expand and manage your resources, and perhaps hire the lost souls of those you've slaughtered as employees. More interesting than the unique gameplay, perhaps, are the art assets. 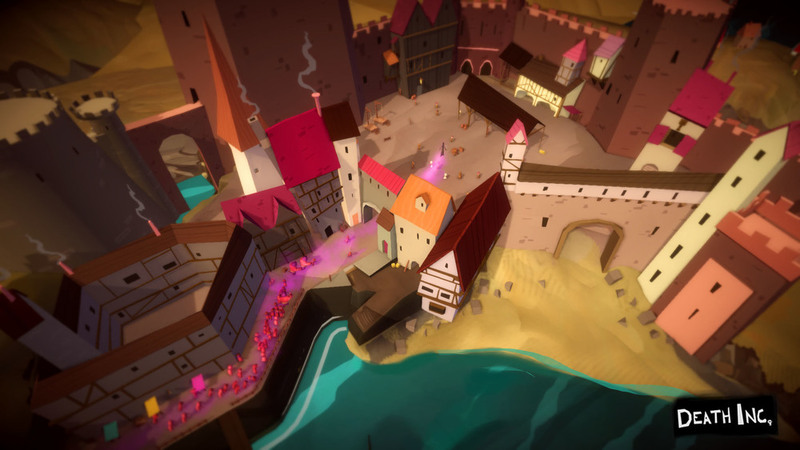 Conceding that the game might be "a bit dark" the team at Ambient Studios have opted for a very light and fluffy art style, almost like something out of a children's book. In addition, the grisly subject manner will be handled in a similarly saccharine manner, and apparently will be "...Done in such a way that spreading the plague makes people happy." If you're interested in this game, the team are looking for a pretty hefty $300,000 for their project, so head on down to their Kickstarter page and throw in your buck.